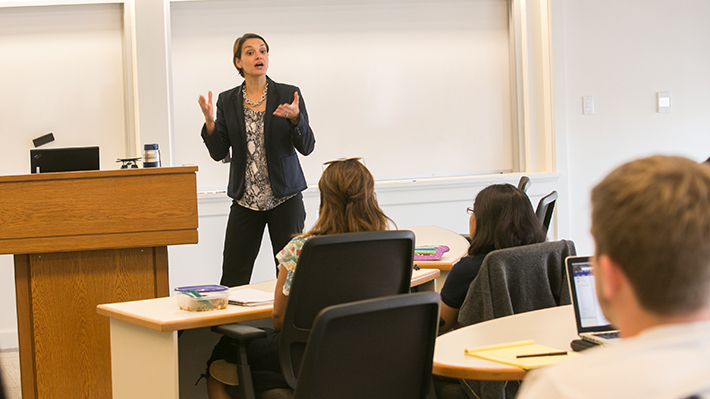 The Organizational Management program at Drexel LeBow prepares students with the skills necessary to be successful in their careers, including communication, integrity, teamwork, cross-cultural sensitivity, negotiation, leadership and vision. These skills are highly coveted by employers and strongly complement core technical knowledge gained in majors such as finance, accounting, marketing and engineering. The program provides a solid foundation of skills that are highly sought after in any field. The co-major/minor in Organizational Management can be paired with majors within LeBow or from other colleges to help you develop these skills and succeed in your chosen career. A minor in organizational management can be a great supplement to a wide range of degrees. The Organizational Management Minor concentration is available to all students enrolled at Drexel LeBow.